Who is the primary caregiver of your teeth? If you said anyone other than yourself, you may want to think closely about the amount of time that passes between dental visits. During this time, you are in charge of your oral health. Therefore, it is important that your homecare is thorough and effective. To aid you in this endeavor, your Des Moines IA dentist, Dr. Jessica Johnson, has put together the following homecare tips. Brush thoroughly, but don’t overbrush. When you brush your teeth, it is important that you pay specific attention to every surface of each of your teeth. For this reason, it is sometimes useful to break down your brushing into three sections, one for the front surface of teeth, one for the back surface, and one for the top (biting) surface. Being thorough is a great way to ensure that you keep your teeth free of harmful bacteria. However, it is important that you do not overbrush. 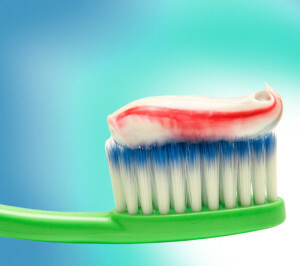 Brushing too forcefully or too often can actually damage teeth by wearing away their enamel, thereby making them more vulnerable to attack from bacteria. Therefore, be sure to brush 2-3 times per day without excessive force. Use the proper amount of dental floss. Did you know that you should use about 18 inches of dental floss when cleaning your teeth? You should use this much floss so that you can always have clean floss available. If you were to use the same portion of dental floss to clean between all of your teeth, you would be less successful in removing bacteria and be more likely to spread them throughout your mouth. Angle the bristles of your toothbrush toward the gum line. Gum disease often begins with bacteria on teeth near the gum line. Thus, it is very important that you remove these bacteria so that gum disease does not develop. To do this, be sure to angle your toothbrush’s bristles toward the gum line. Thorough homecare goes a long way toward maintaining a healthy mouth. However, you should also attend regular dental cleanings. If you are past due for a dental cleaning, contact our 50266 dentist office today at 515-223-9764 to schedule an appointment or a consultation with your Des Moines IA dentist, Dr. Johnson. 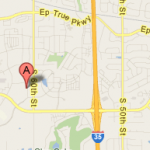 We welcome patients from West Des Moines, Waukee, Clive, and nearby Des Moines metro communities. This entry was posted	on Thursday, August 29th, 2013 at 7:55 pm	and is filed under Blog, Family Dentistry, Patient Education. You can follow any responses to this entry through the RSS 2.0 feed. Responses are currently closed, but you can trackback from your own site.